I am doing something crazy. The most I've ever run jogged in my life is a pretty impressive 10km. But in a few short months, I'm doubling that! I was in a fitness rut a few months ago; aimlessly heading to the gym with no real goals in sight. Fitness for me has always been about feeling like I've achieved something, not losing weight or getting a certain body type. My mum had roped me into doing the 10k Race For Life last year, and although I was reluctant at first, I felt so accomplished when I reached the finish line! Not to mention as a group we raised £200 for Cancer Research. Running will always be my first fitness love. Ever since I bought my first pair of running shoes aged 15 and woke up at 6am before my exams to energize and de-stress. I can't say I've ever been particularly good at it, but I liked it! So when trying to crawl out of this cycle of feeling bored at the gym, I saw a few Tweets and Instagrams of the London Marathon. As much as I wanted to get totally carried away and sign up for that, I knew the chances of getting in were slim, and the chances of me finishing a whole marathon were slimmer. So I halved the distance, picked my favourite city and chose the charity closest to my heart to run for. 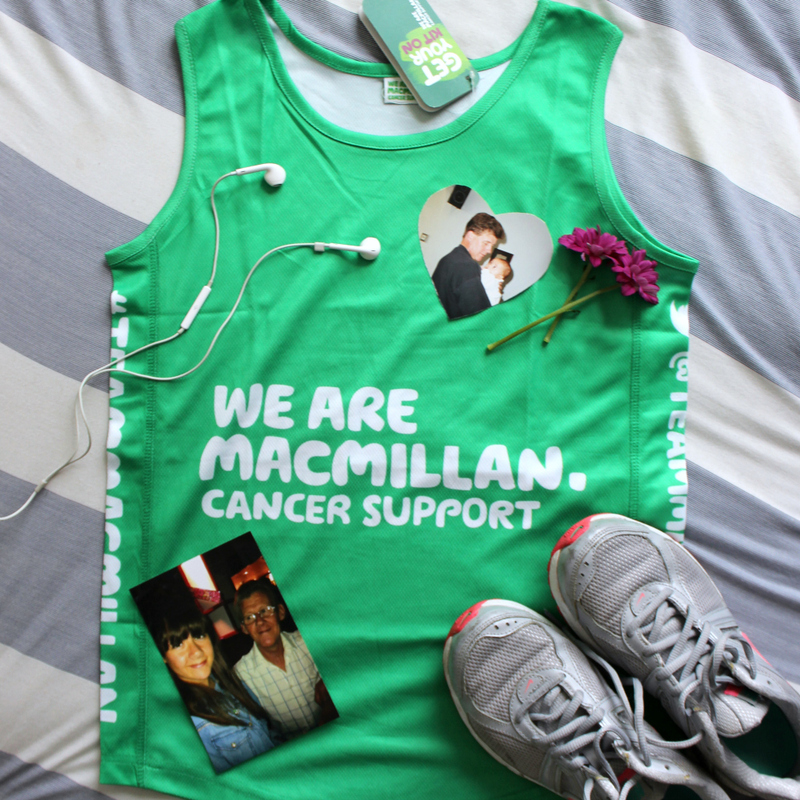 On the 2nd October, I will be proudly donning my Macmillan vest and running the Cardiff Half-Marathon! Macmillan have looked after people I love dearly for years. My granddad, my dad, and millions of other people affected by cancer. I'm aiming to raise £500 for Macmillan, the least I can do to return the favour. If you'd like to support me, here is a link to my JustGiving page and there's a button on the side bar (or bottom, if you're on mobile) of my blog. If you can donate, even the tiniest bit of spare change, that's amazing! If not, I'd still be so grateful if you could share my page for me and gain some support. If all goes to plan, I will be updating regularly while training, so you can hear more about my progress, training tips and (inevitable) failures. All in good fun! My next post, up Monday, will be a beginner's starter pack (not like the meme, I promise). I might also make progress videos on my YouTube channel, if anybody's interested? For now, thank you so much for reading, please have a look at my JustGiving page, and wish me luck! Side note: if you're around Cardiff in October and are interested in running the Half Marathon, please email me! I'd love to have a training buddy and someone to 'team up' with on the day!